Three 20 South – Breckenridge's Own! Three20South – My Old Stomping Ground! I have been exploring the country and adventuring for the last five years. Always looking for good music that touches my soul, and opens my eyes to new possibilities. Three20south quickly captivated me; I put it on my top five places to go for pure happiness. Moreover, I have been to many clubs! I am resisting the temptation to make the post all about the music, but I just want to do it justice. So the music is a whole another level. I have seen many bands here over the years, some of them made it big time. If you are interested in “Music Therapy,” give it a shot. In all the clubs I have had the pleasure of going to, the management and hosts in Three20south are just perfect. One time, I went there with a big group of my friends, and the place was full. We had to wait for two hours before getting in. The next day Rocko (the manager) called me to apologize and ask if I did have a real time. He was so cute and sweet. A little bit of history here, three20south was found in 2008 replacing Sherpa & Yeti’s, the new owners completely transformed the place, with better lights, better sounds, and better everything! The stage also got bigger, at the same time, it allows the bands and the crowd to get closer and become one. It shows that the owners do their best to provide the best experience possible. I enjoy watching new talented musicians get exposure by performing in three20south, one of those bands is YAMN, they played in the previous Sherpa & Yeti’s and continued to play in the new three20south. I think that three20south gave a lot to the music scene in Summit County. Some of the bands I have had the pleasure of experiencing there were, A Sight Unseen, Rosechild, Revivalists, Old Shoe, Assembly of Dust, Gipsy Moon, Eminence Ensemble, and the list goes on and on. Lots of genres too from rock to hip-hop, blues, jazz. Three 20 South got the whole package. I rarely miss a good show. The prices in 320 South Breckenridge co are quite reasonable. The drinks are fantastic, and the atmosphere is pretty exciting. As far as I remember the admission price was around 10$. I always recommend to my friends that they stop by whenever they are in Breckenridge. 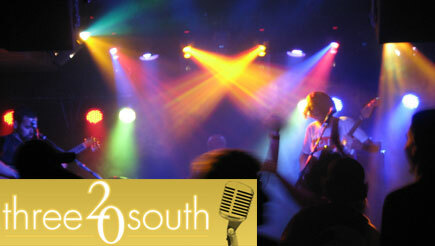 I think 320 South, is more than a music bar. It is a lifestyle that fits well with my personality. I am so glad I discovered it, and it has been a great source of inspiration. I go there to get my dose of great music and sometimes alcohol. However, don’t take my word for it, explore for yourself. After all, life is what you experience, right?